Ever been caught without your driver's license and wished you could have some other critical bit of your physical property to cover for you? Maybe something that you'd be carrying around every day? Something like, say, your cellphone? 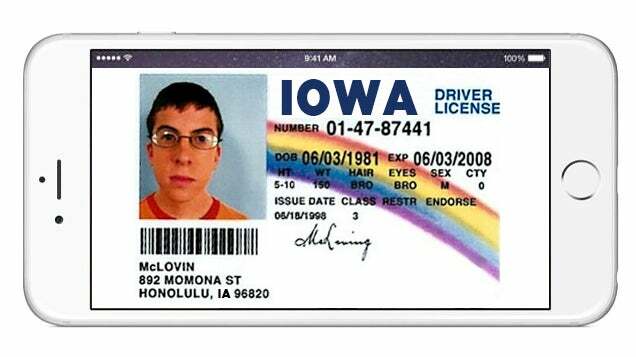 Now, thanks to new legislation in Iowa, drivers will be able to use their smartphones as credible license identification, starting in 2015. According to theverge.com, the official license app will make your e-ID acceptable for police stops, airport trips, and other instances of age verification. "It's okay officer, I'm not drunk, really...I puke all the time."